These took a good deal of both time and patience to assemble, but it was just as well since the entire week of weather has been at least humid if not raining. Today I finally got them primed, and by happenstance I picked up the plastic base-plate of an 80’s vintage electric typewriter, one which I had pulled apart for parts and components, and I realized it would serve as a platform for spray painting and carrying figures out to the back of the apartment complex where I go to prime models. It certainly is more rigid and serves better as transport than the sections of corrugated cardboard I usually use. 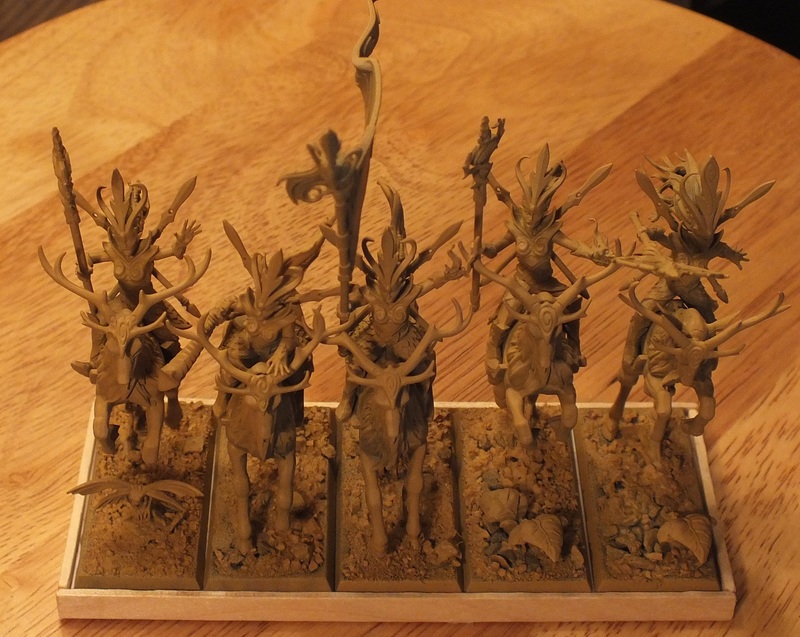 This is now officially designated as my model priming plate. 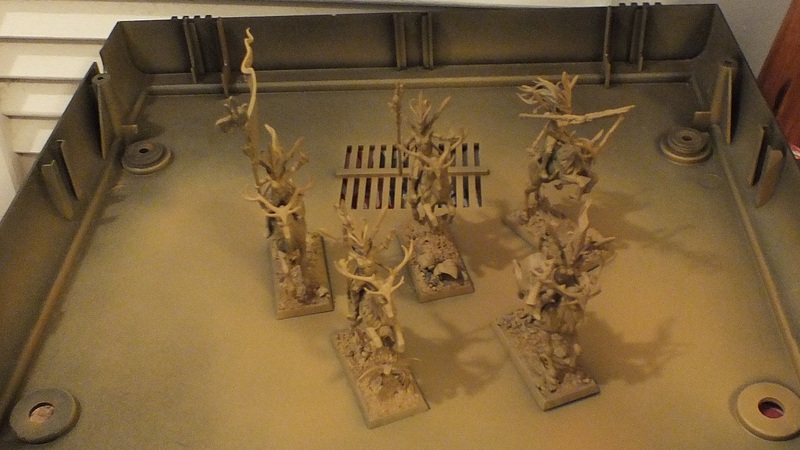 This entry was tagged Miniatures, Modelling, Painting, Warhammer Fantasy, Wood Elves. Bookmark the permalink.